I am surprised at how little coverage Argentina’s sovereign default has earned. The Financial Times even notes something of a post-default calm in financial markets (although it also warns of choppy seas ahead). One reason may be that the default has been anticipated for so long—given Argentina’s history of sovereign default—that it’s not really news. Another might be that sovereign defaults are a bit abstract for everyone but creditors and the citizens of the defaulting countries. The 1980s and early 2000s debt crises are readily apparent here, as are the differences between the two. The data also help to remind us that unlike personal bankruptcy, defaults endure. 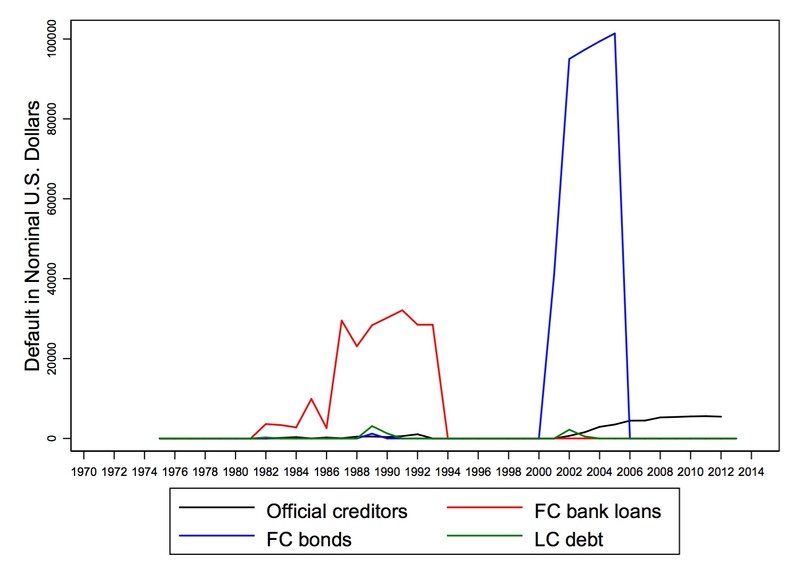 We also see original sin in action: Argentinian defaults do not involve LC (local currency) debt because Argentina/Argentinians cannot borrow abroad in their local currencies. 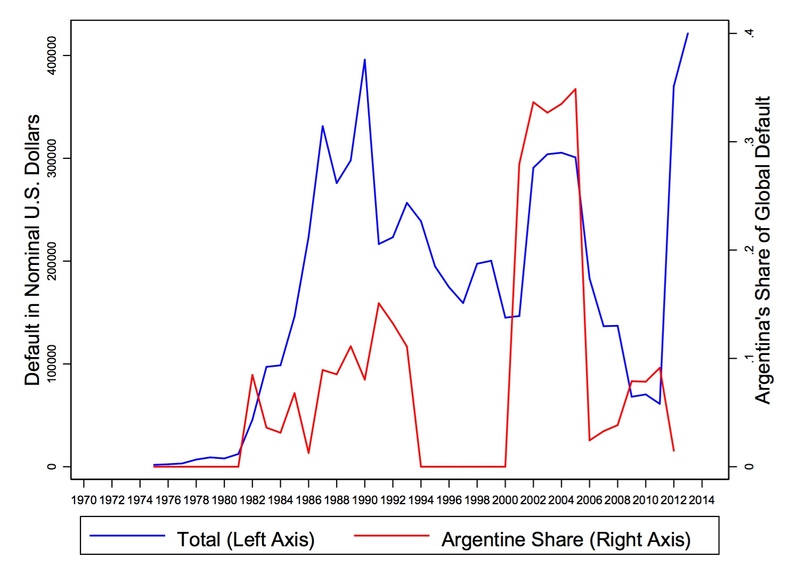 Perhaps one reason why Wednesday’s default is not such big news is that globally, Argentina is not unique these days, as it clearly was in the early 2000s.